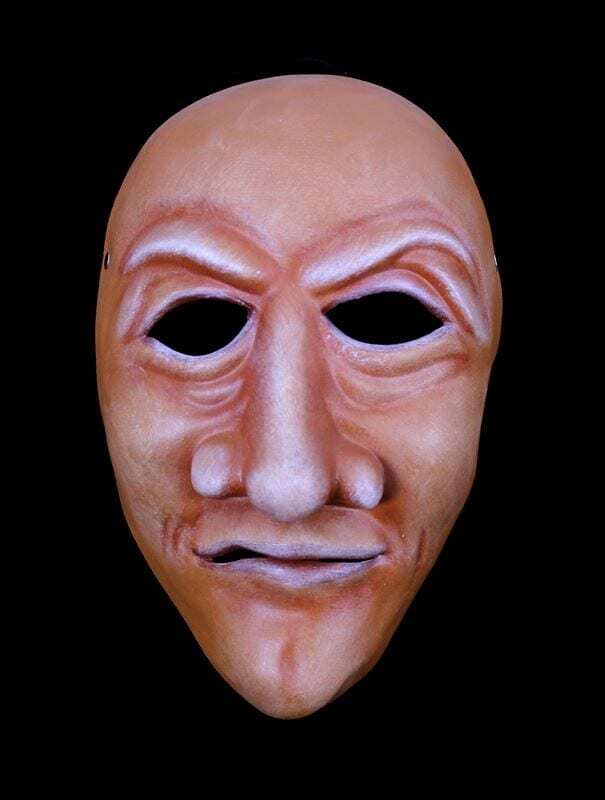 This full face character mask contains the qualities of envy, scorn and fear. 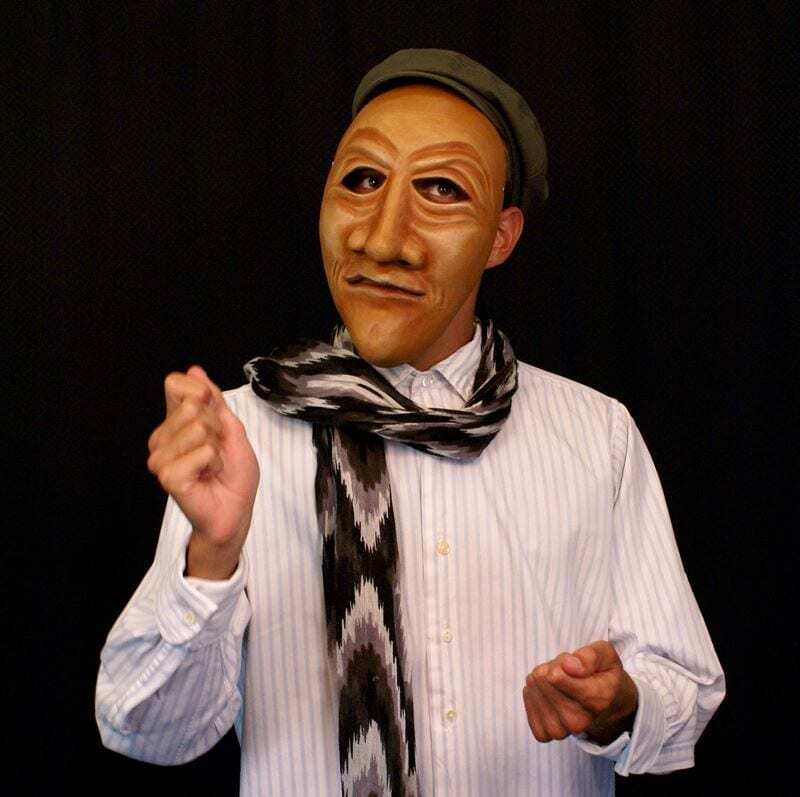 This mask is your worse critic. The art world is its disdain, fashion is distasteful and a sunny day is to be picked apart for its shortcomings. Definitely a character one wants at every family reunion. All the masks from the studio are made out of a rigid latex. The choice of this material was made years ago. It is durable, easily cleaned and light weight. The process of creation creates a slightly porous surface so the paint is difficult to scratch off.